Complete and flexible digital/electronic document management software solution for Windows users. 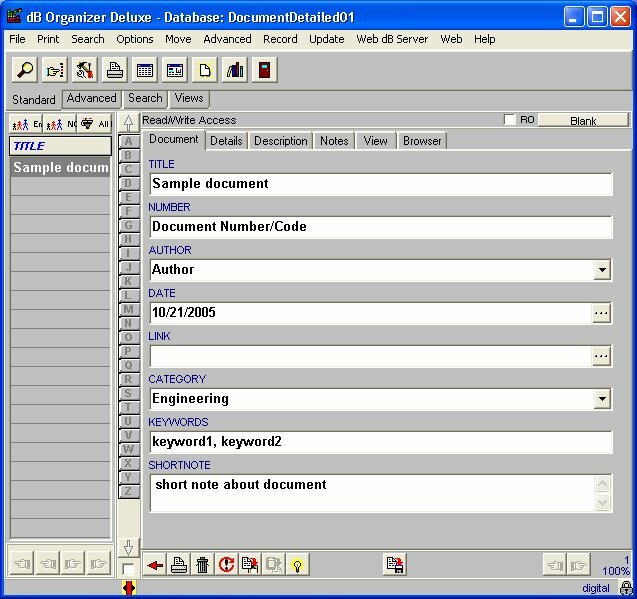 Manage your document information including document title, document number, creation date, author, link to a document, keywords, document type, file format, document version, reviewed by, accepted by, details, remarks, notes, description and more. Maintain document information in as much detail as you want. 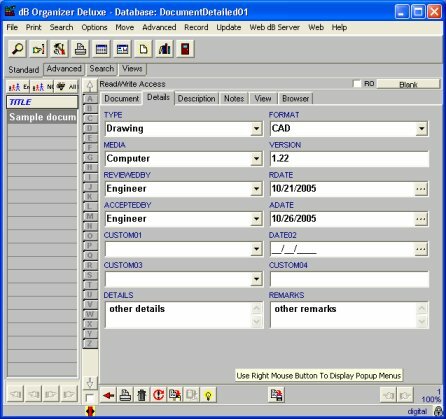 Print reports, labels with color and graphics. Access and view your document records in virtually any way.